Photo of a 127-year-old embossed leather book of mine. Buy the complete 6800 word/20+ page story NOW! Here at Smashwords.com, only $0.99! …then she climbed back on the seat of the motorized bicycle and pedaled as fast as she could. The blasted thing had stalled out or she’d shut it off; she couldn’t remember. Not after the near miss with the speed demon in a low-slung car moments before. A full moon looking about to burst sat on the eastern horizon as Ari finally pulled up to the entry gate at the end of her own long driveway. She punched in the code and waited impatiently for the wrought iron monstrosity to swing aside. Patting her oversized leather jacket’s chest pocket to fill some time made a crinkle-crunch, crinkle-crunch. The pages stolen from hunky Kirk Paine’s house. She smiled. Ari’d known Bithia Paine’s library was off limits long before she lied her way into the house this night. The first time, at a party a couple of weeks ago, she’d entered innocently. Tonight Kirk’d left her alone in the entryway for a few minutes and she’d snuck back down a hallway and into it. He caught her before she’d made it all the way back out. Startled, she couldn’t think of anything to say so did the first thing that would have come to any red-blooded teen girl’s mind if she’d been looking full into the face of the quintessentially tall, tan, blonde quarterback: Ari kissed him. Which startled both her and him. Thankfully it had given her a few seconds to realize, yes, she’d put his mother’s old leather covered book back on its shelf. Ari’d read blog posts about how girls only had to hint that a man had “tried something;” it looked like the ultimate empowerment trip. Rumor had it Kirk’s girl-troubled past and a recent additional accusation had gotten him kicked out of his last private school. That stupid kiss just now might turn into insurance…against him revealing her latest and greatest trespass. She knew well about “troubled” pasts; the collection of plaid private-school skirts in her closet testified to it. Funny thing was that last school of Kirk’s was her “only.” As in the only one nearby she had yet to be kicked out of; it didn’t count that she hadn’t run afoul of the public high school she and he were currently sentenced to. “Why, Judge…” she’d say if need be, “moonlight makes a guy do such cray-y-y-zy things…” She laughed. “That you, child?” a voice said. It came from the intercom set into the stone-facade of the mini-wall around the property. Castle Dunsmore as Ari called her adopted parents Uncle Ted and Aunt Nell Dunsmore’s brand new hulking house. “Uh-h-h, yup. Just me, James. Stayed, uh-h-h, at the library…doing research. On my way in.” James was the limo driver for mega-preacher Ted (as Ari secretly called him). She was fairly certain James hadn’t seen her leave the house. The nearly-sixteen-year-old thought pretty highly of the old guy. Hated bending the truth with him, though on occasion had been known to flat out lie to her “Father,” Ted. Besides, who hangs a “Do Not Enter” sign on a door during a party? The Paine woman practically begged me to try the lock by hanging it there that first time. All I did was look at a few of her dumb old books. Haven’t told anybody what I found, then or now, not even Kirk. “So what’s a few more fibs?” Ari said, rounding the last turn towards her adopted parents estate, “if it helps a 7-year-old girl get well?” And if that one page can keep me from getting blamed? Sure Kirk’s mom is powerful, not to mention she’s the most beautiful woman in Polo Club or Doublespring, maybe all Texas. But now I believe the rumors about her; think I know how she does it. “Besides, I only took two…” she said out loud, defending herself to herself as she opened one of the garage doors then stowed her bike. 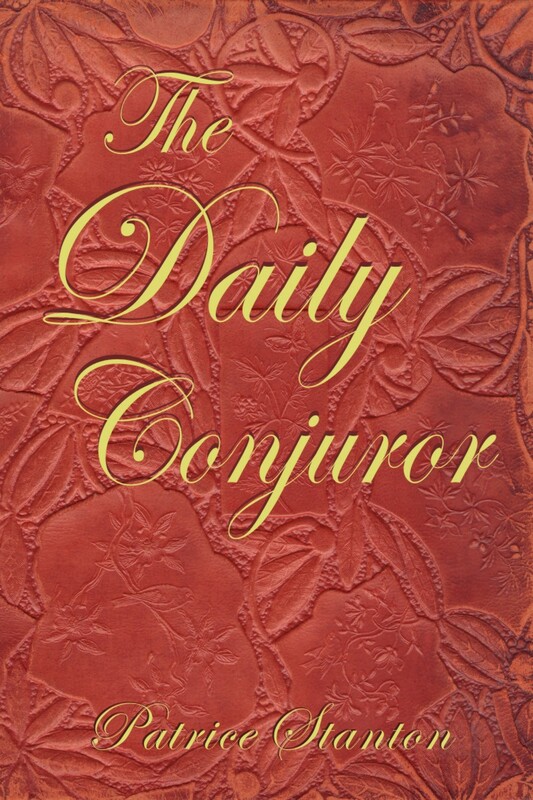 Didn’t want her “casting” anything my way then, and hell, it’s “The Daily Conjuror,” so what I took two out of 365? That’s nothing. Looked like tons of them left.